Airoforce, a graded stakes winner on both turf and dirt in 2015, is one of three finalists for the 2-year-old Male Eclipse Award. The Eclipse champions will be announced during a ceremony at Gulfstream Jan. 16. Airoforce proved to be one of the most adaptable 2-year-old of last year and was a neck away from being undefeated in his four starts. Following a sharp maiden debut score over the Kentucky Downs turf in early September, the gray or roan colt scored a similarly convincing victory in Keeneland’s grassy Bourbon S. (G3). He then finished an unlucky second in the Breeders’ Cup Juvenile Turf (G1), but came back with another authoritative score in the Kentucky Jockey Club (G2) over Churchill Downs’ main track to wrap up the year. Colonel John finished 2015 ranked second to only Pioneerof the Nile on the Third-Crop Sire list by earnings, and his 89 winners were 23 more than any other third-crop sire. 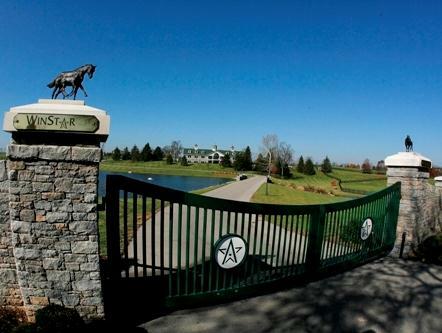 Colonel John is standing the 2016 season at WinStar Farm for $7,500 live foal, stands and nurses.